Things continue to get out of hand for the Avalanche. 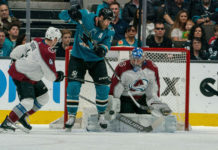 Colorado Avalanche fans will have to continue to wait patiently for a victory, as the Avalanche come up empty-handed in a 5-2 loss to the Toronto Maple Leafs Tuesday night at the Pepsi Center. The Avs have now lost eight-straight games. With a first period goal from Ryan Graves, the Avalanche were tied 1-1 at the end of the period. But that changed quickly in the second period as an ill-timed penalty shifted the momentum to the Maple Leafs as Toronto exploded with three unanswered powerplay goals from Auston Matthews, Nazem Kadri, and Kasperi Kapanen to give Toronto a 4-1 lead at the second intermission. 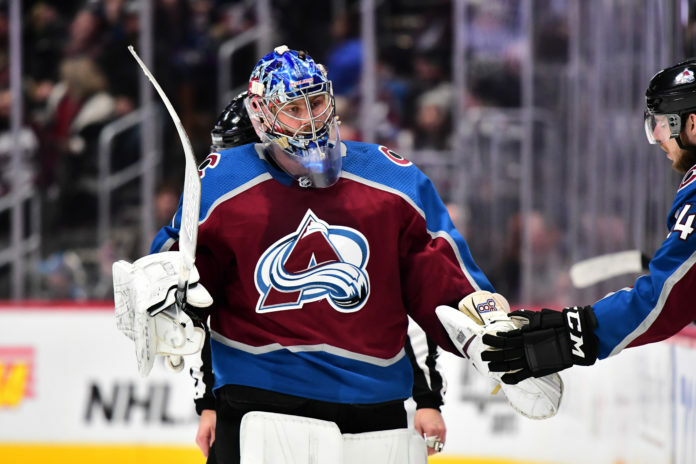 The onslaught of goals by the Maple Leafs in the second period eventually led to Avalanche goaltender Semyon Varlamov getting pulled in favor for backup goaltender Philipp Grubauer, who finished the game. “I thought that Grubauer did a really nice job coming in cold,” Avalanche head coach Jared Bednar said, “And you know what? I thought that [Varlamov] looked really good too. Varly was giving a chance to win. What is he going to do on the powerplay goals? It was great execution by [Toronto] and I didn’t think Varly had a chance. Bad luck continued for the Avs in the third period, as Kadri tallied his second goal of the game to give the Leafs the 5-1 lead. 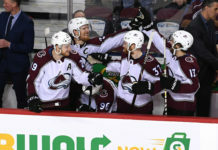 Colorado notched one last goal as Avalanche forward Alexander Kerfoot redirected a shot from the point from Avs defensemen Samuel Girard. The schedule will not be doing the Avalanche any favors, as they will hit the road for a Valentine’s Day showdown on Thursday, February 14 in Winnipeg against the Central-division leading Jets. “It’s frustrating, but we are trying to look at the positives such as going on that three-game road trip and taking away three points against three good teams,” Graves said, “That is positive, and in the situation that we are in right now you have to look at the positives.